executives. 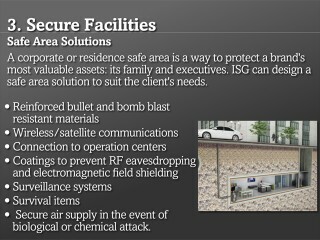 ISG can design a safe area solution to suit the client’s needs. Secure air supply in the event of biological or chemical attack.